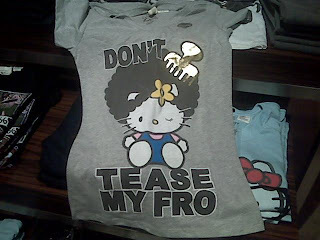 This weekend I came across the cutest t-shirt that I feel every natural needs to have in her wardrobe! Is this not the most adorable thing ever? It retails for only $29.99 and is available at all Metro Park stores and online. For other locations across the country click here.